Eurostar often release tickets for only £29 each way. Watch out for these in April, August and January. Sacrifice your sleep and book the earliest train to Paris to maximise your day! Grab your trainers and travel by foot as much as you can! In my opinion, that’s the best way to truly discover a new city. You can also opt for a metro day pass. 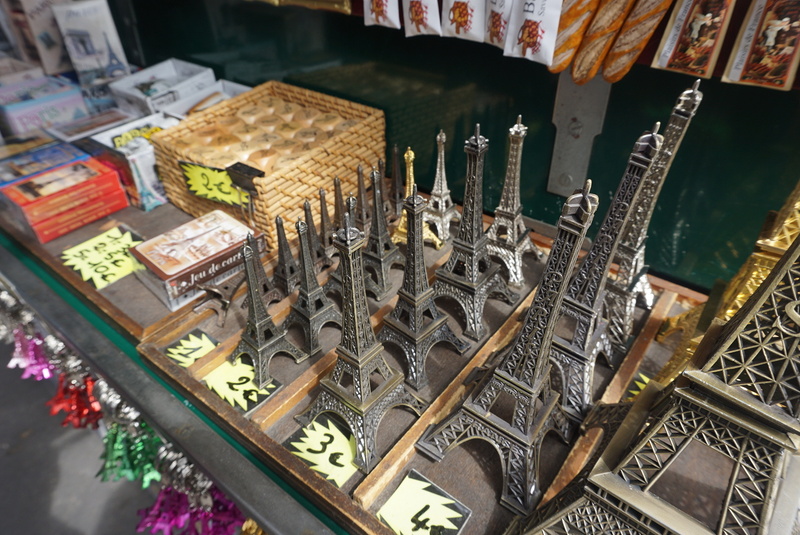 … buy this at Gare du Nord as soon as you arrive in Paris. First stop was breakfast, of course. 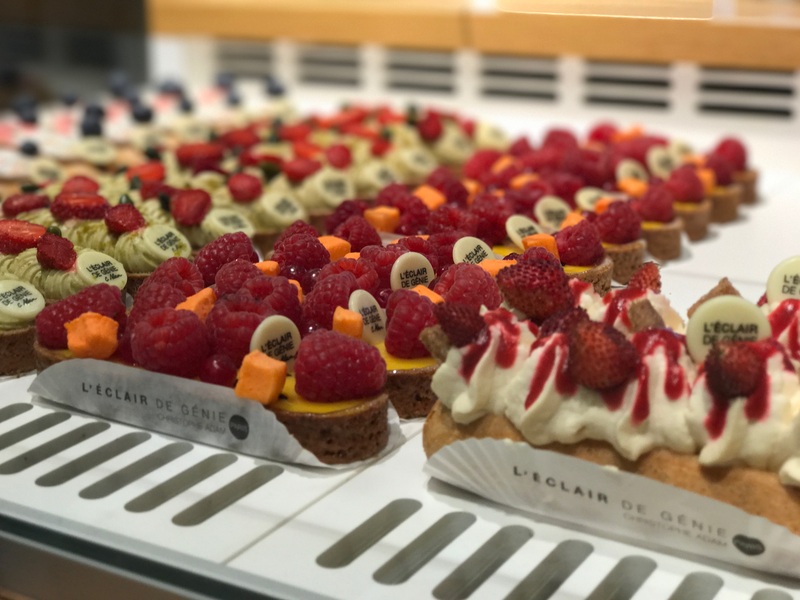 We HAD to go to Du Pain et des Idées, one of the best boulangeries in Paris! Keep it simple and get the escargot pistache et chocolat … and a croissant or two! You’ll need one for the journey home, am I right?! PAIN PAIN is another great alternative for breakfast. 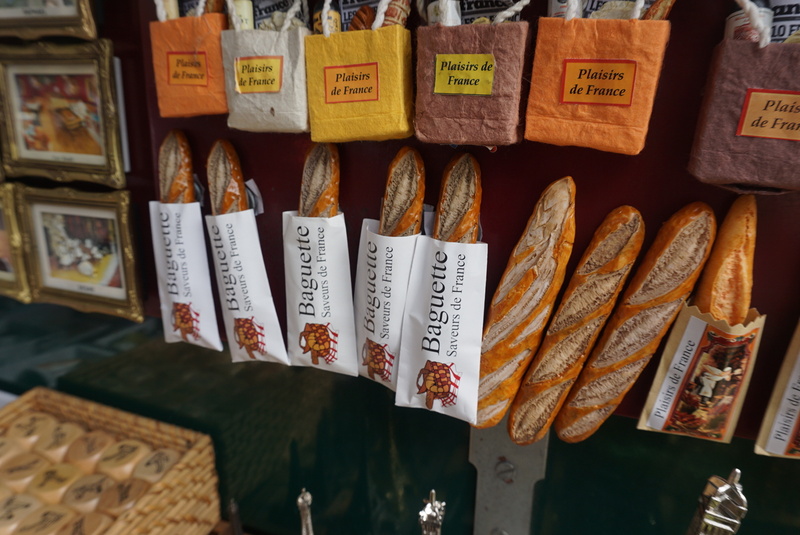 They’re known to have the best baguette in the whole of Paris! I can also recommend their cheesy pastries, lotus eclairs *omg* and their fluffy cakes! 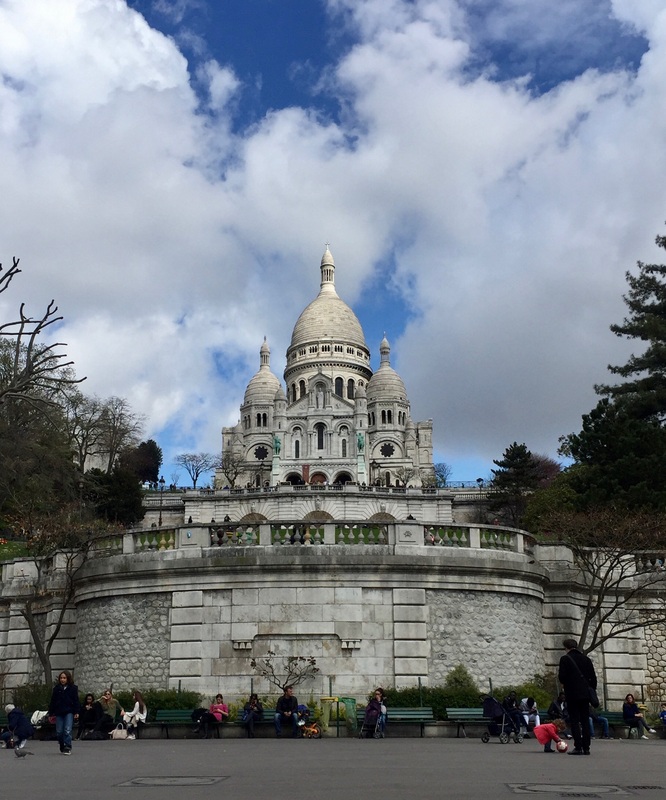 Next, we made our way to Sacré-Cœur. 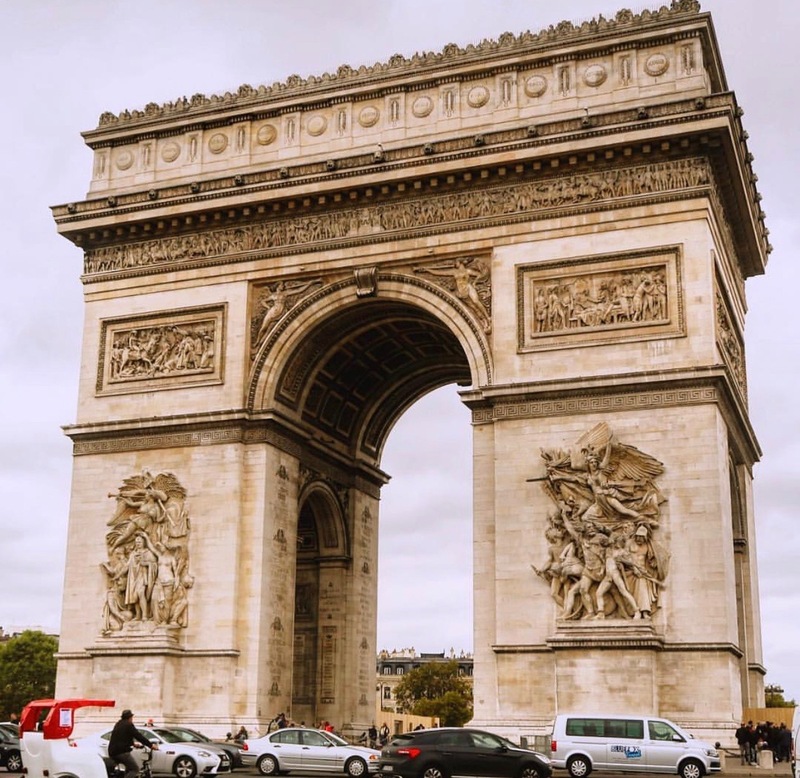 Climb to the top and witness one of the most beautiful views of Paris. When we went, a man was playing “La vie en Rose” on a harp and it was one of the most magical and breath-taking moments ever. 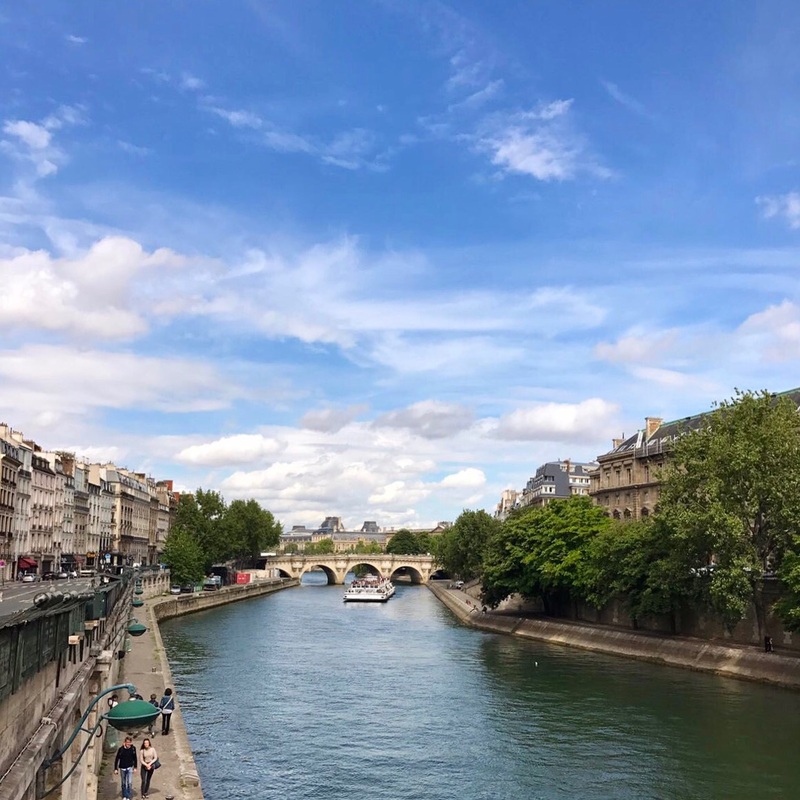 Take the scenic route and stroll by the Seine until you get to Notre Dame. It has huge queues outside but it moves pretty fast so don’t let that put you off! A day in Paris would not be complete without a visit to the Eiffel Tower. We skipped queuing to go up and enjoyed some soft serve ice cream outside instead. 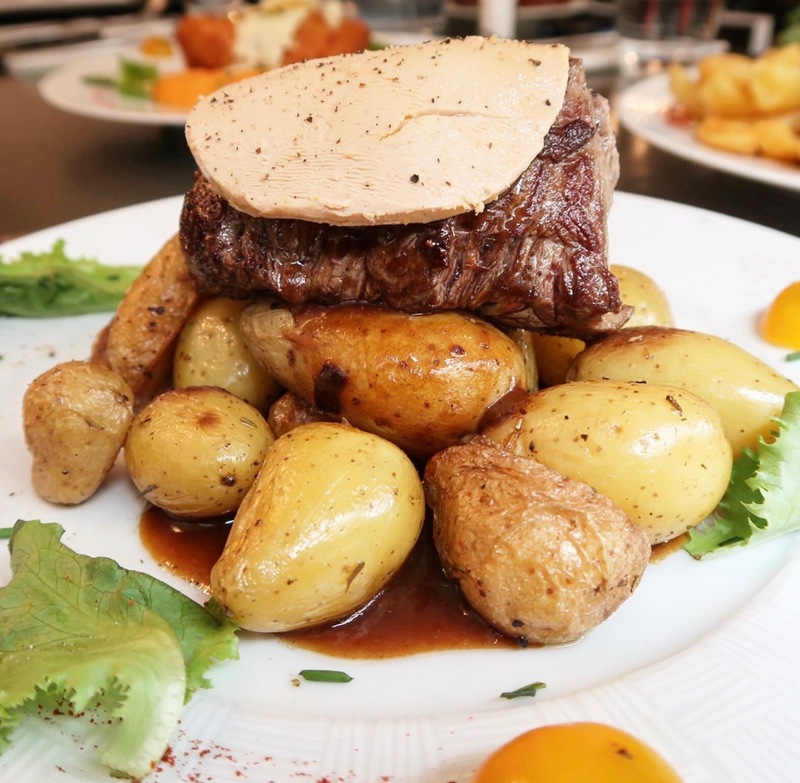 For lunch, we checked out a restaurant called Le 1818. Their food looked incredible on Instagram and I couldn’t wait to visit. Unfortunately we didn’t love it. But you can read more about that here if you like! I’ll leave a list of other restaurants that I’ve heard are good at the bottom of this post! 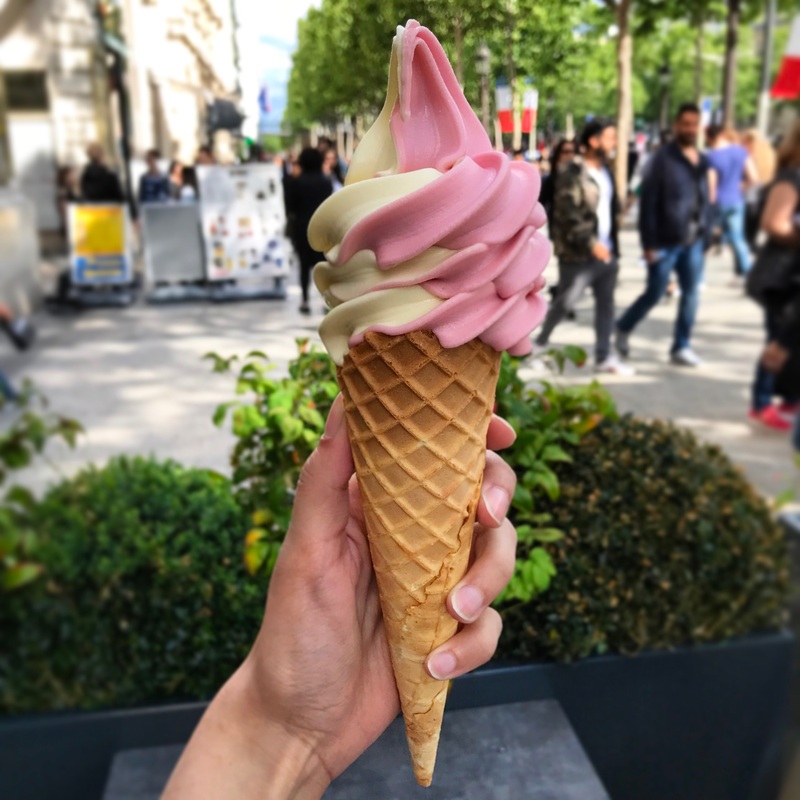 After lunch we headed to the Arc de Triomphe and took a walk down the Champs-Élysées where we ended up getting even more ice cream! 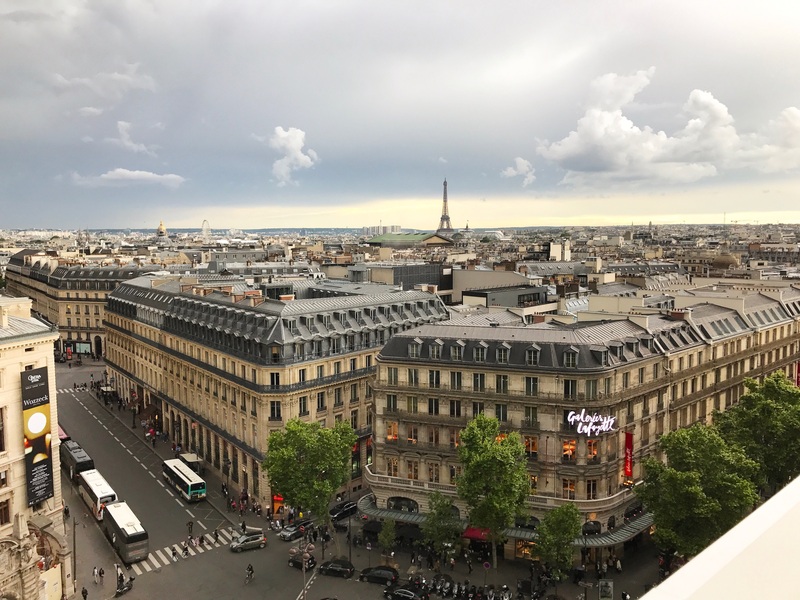 Choose to shop at Paris’ most famous department store, or head to the food hall if you’re like me! 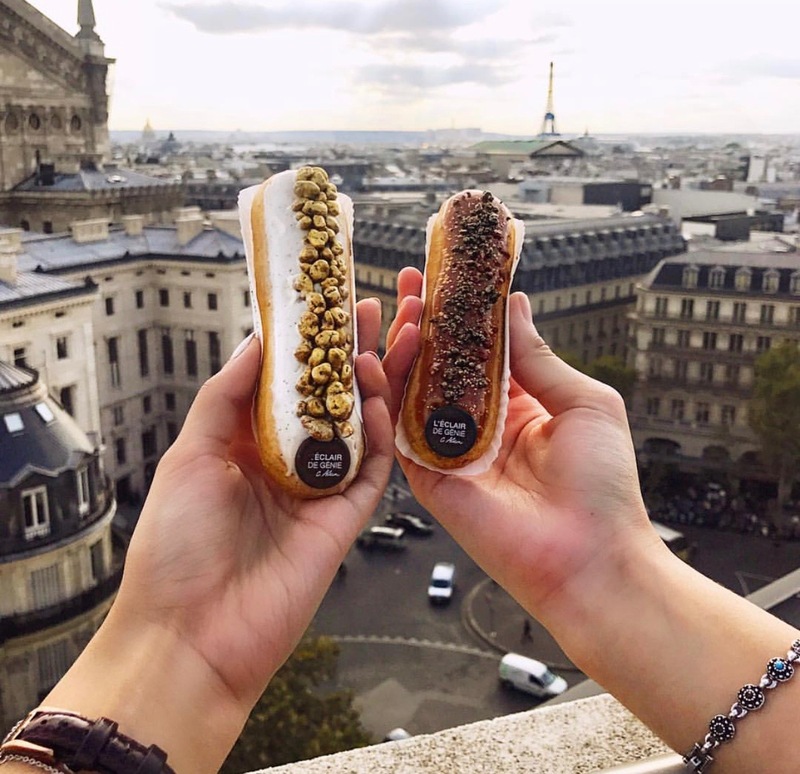 Here you’ll find the most delicious halal eclairs from L’Eclair de Genie! They use fish gelatine so knock yourself out and try EVERYTHING! 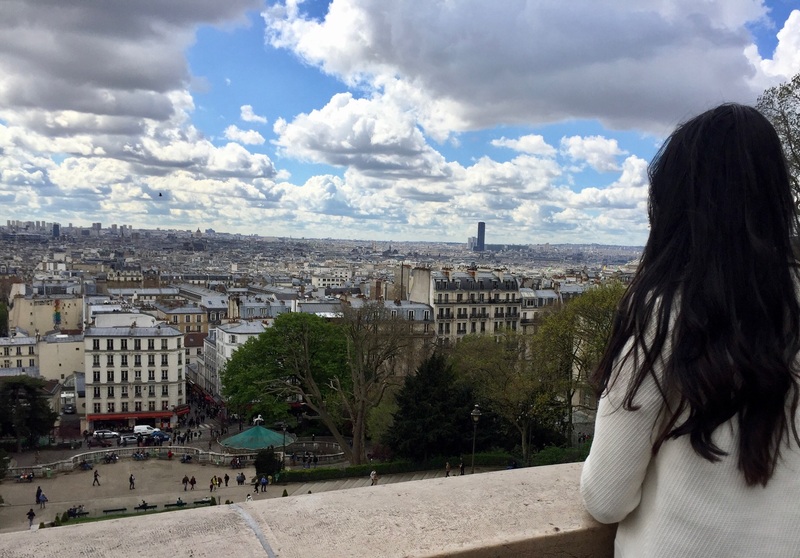 Just before you leave the area, don’t miss out on one of the most incredible views of Paris! It’s on the roof of Galeries Lafayette and it’s free!! By now it was almost time to leave and we were walking around trying to find a small bite to eat before heading home. 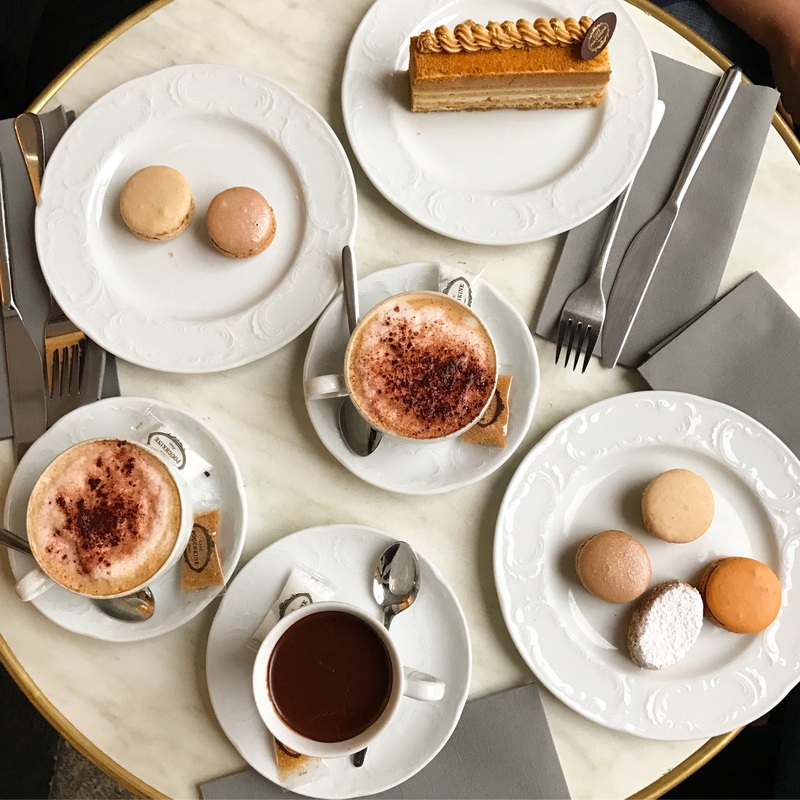 This is when we discovered Café Pouchkine, the cutest cafe that you MUST visit! 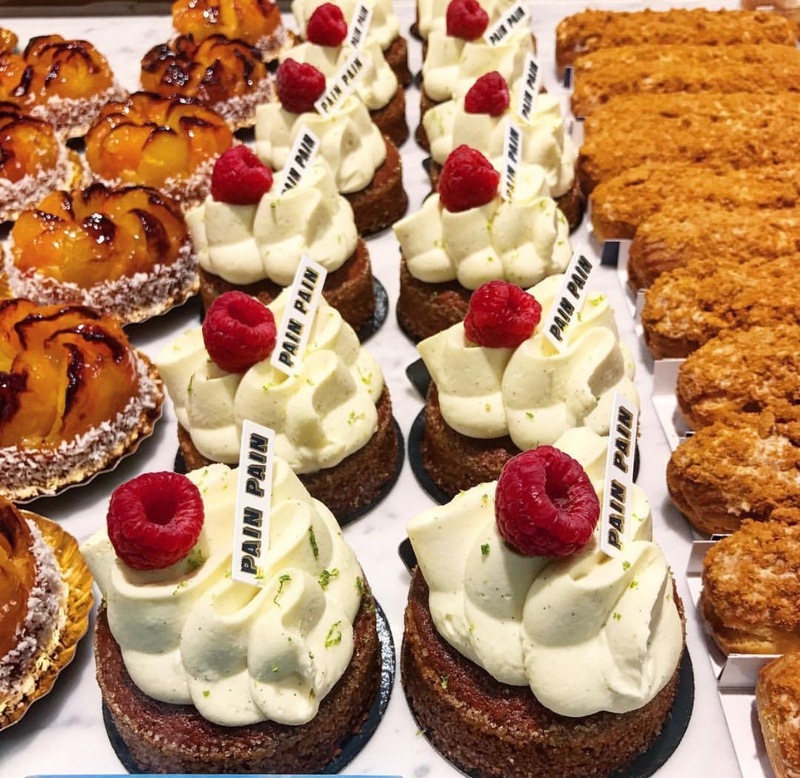 It’s a big statement but their macarons and honey cake are some of the best I’ve ever had and it would be a crime not to visit! 9pm – TIME TO GO HOME! P.S. A lot of these restaurants are closed between 2.30pm and 5.30pm so remember that when planning your day! Perhaps you missed it, but there’s actually an entire list of halal restaurants above! Thank you!! I’m glad you like it 😀 Hopefully you can go soon and try all the yummy food! Aw good luck to your wife and I hope you both have an amazing time! In terms of shisha – sorry I can’t really help as I’m not a shisha fan so I didn’t look into it. Hope you find one though!